This review is intended to guide borrowers as they select their small business loan lender, and are looking for a Business Fuel review. We will go over Business Fuel’s company background, their lending practices, and their application qualifications. Requirements to Apply: Been in business for one year (minimum), 12 months left on your lease, can prove that you have a minimum turnover of $10,000 a month in gross revenue. General Feedback from Clients Online: Very little customer feedback online. Most of it is positive. that small business owners often need funds quickly to keep their business going, and they believe that there’s something inherently wrong with a lending system that puts business owners through a lengthy application process. Business Fuel offers a solution. Their applications are approved in 48 hours or less – giving you access to your funds faster. They provide both secured and unsecured loans, and they offer a wide range in loan amounts for businesses with varying needs. Business Fuel says, “We’re making money happen.” And they’re doing an amazing job. According to statistics listed on their website – over 40% of their customers return to borrow from them a second or third time. 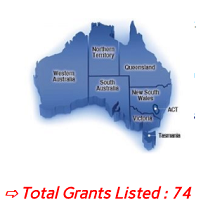 They have been in business in Australia for over 12 years, and pride themselves in having over $50M worth of funded loans. Business Fuel was founded in 2012 by Kate Ryan, who currently acts as one of their lending managers. Currently, Business Fuel has a team of four experienced Loan Managers who guide borrowers through the application process. They also offer several different loans that help you tailor your lending to your business needs – a Flexible Business Loan, an Equipment and Vehicle Finance, and Cashflow or Invoice Funding loans. Business Fuel also has a lively social media presence. Their videos on YouTube showcase their team members, and their Facebook page offers more insight and information about their business. Business Fuel doesn’t have many online reviews. However, the few negative points we found from both borrowers and employees didn’t reflect poorly on their lending process at all. The only negative point that was mentioned that could impact a borrower was that their facility fees aren’t fixed. Business Fuel is said to offer a lot of cash flow flexibility, a wide range of loan amounts, various types of loans, and speedy service. Additionally, sights like ebroker have called them, “innovative,” in their approach. The negative review found on Glassdoor went out of it’s way to explain that the lending process is wonderful – but the workplace politics isn’t so great for employees. Startup: No. Business Fuel only works with businesses with 12 months experience. Bad credit: No. Business Fuel does require reasonable credit and a credit check. Sole trader: Yes, Business Fuel accepts sole traders. Established business: Yes, Business Fuel works with established businesses. 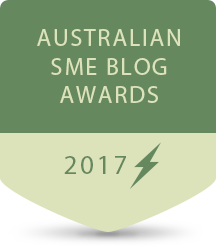 Business Fuel is a veteran candidate in the small business lending space in Australia, and any business standing on its two feet for so long deserves our utmost recognition. BusinessFuel boasts an incredible 40% returning customers, with good online reviews describing the company as flexible and trustworthy. Even their employee reviews on Glassdoor are unanimously positive, which add to their brand’s prestige. Unlike other lenders in this space, the minimum requirements for BusinessFuel are only 6 months in operation (whereas other lenders usually require 12 months in business or more). Definitely worth applying to – it won’t impact your credit score!